Happy Halloween everyone! Have you picked out your costume, bought bite sized candy bars for the trick-or-treaters and spookified your house? Personally, I haven't done any of those things... Living in an apartment really takes me out of the whole - dress up and have a wild and crazy Halloween - thing. But I have been making lots of treats because I really do love this holiday. It's the beginning of all the holiday fun! Today we are going to celebrate Halloween and continue with Restaurant Wars 2013! I meant to complete this challenge in the summer, because that's when you eat frozen yogurt, but I got side-tracked with unemployment! 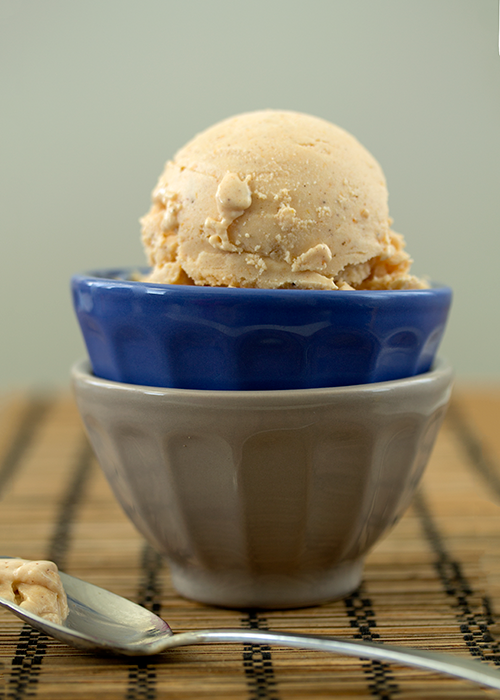 Instead of making you a summer frozen yogurt, I decided to mimic the Red Mango fall favorite - Pumpkin spice! 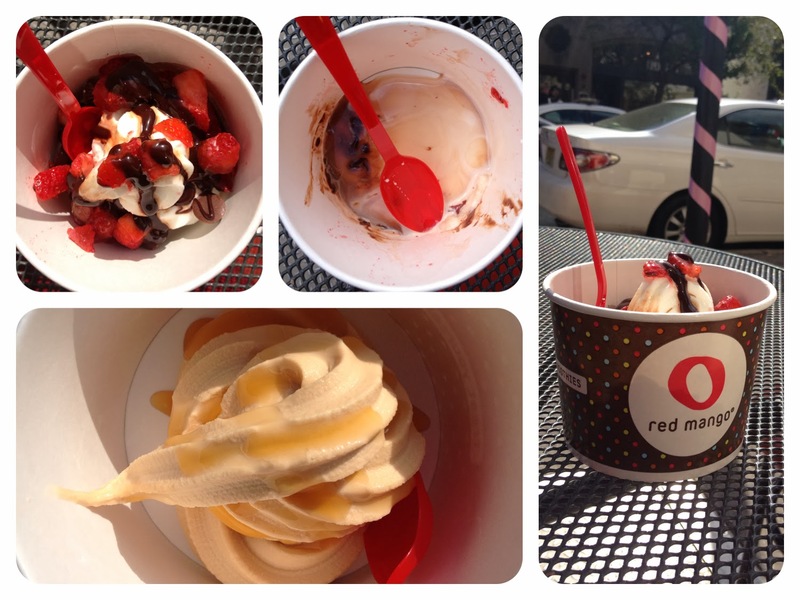 The first time I had Red Mango frozen yogurt, it was probably two years ago. The Boyfriend and I went in and each got a big bowl and topped it with chocolate sauce. We each took a bite and were shocked with the flavor. It was not what we were expecting! The yogurty flavor screams out from the vanilla Red Mango and it was such a surprise. We both wondered what was wrong with the ice cream! I've come to love the unique flavor of their frozen yogurt, but the BF insists on going to the place just down the street that has a more neutral flavor base. Last week I headed to Red Mango, twice, just to be sure I got the flavors right. Personally, my favorite flavor combination is the classic frozen yogurt topped with raspberries and chocolate sauce. I also had their pumpkin spice topped with caramel. 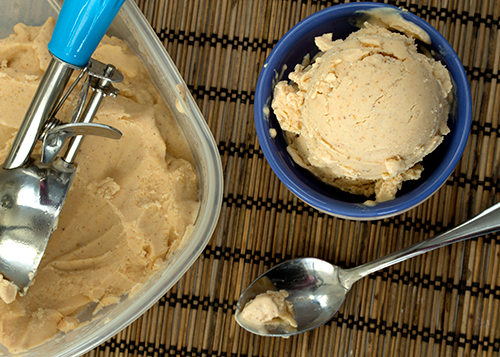 So before you put your ice cream maker away for the winter, whip up a batch of pumpkin spice frozen yogurt. You'll be so happy that you did! 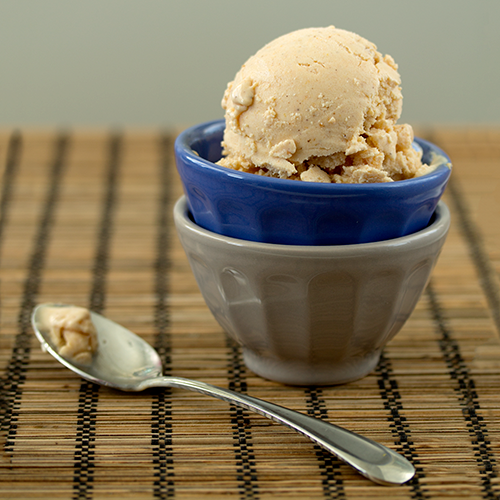 For a smooth frozen yogurt, freeze in an ice cream maker for about 10-15 minutes. Eat right away for a soft serve feel. Freeze for 1 hour for a harder frozen yogurt. 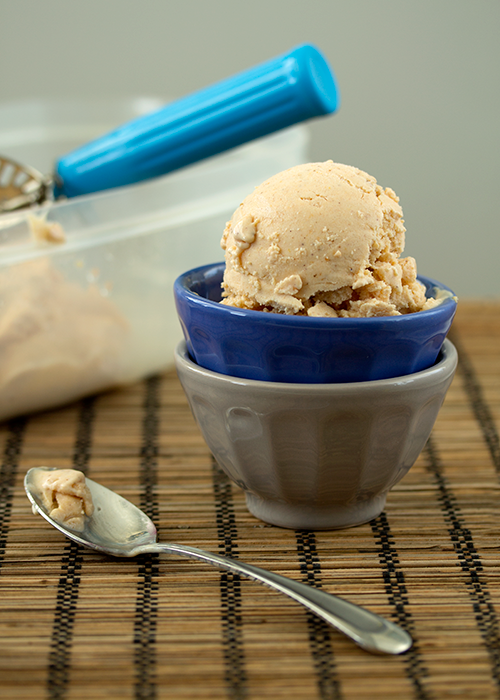 For a more icy frozen yogurt, place mixture in an air-tight container and place in the freezer.